MOSCOW, August 10. /TASS/. Russia plans to sign a military cooperation deal with the Republic of Niger in West Africa, including interaction in the war on terror and measures to strengthen international security, according to a Russian government resolution published on the government’s legal information web portal on Thursday. NIAMEY (AFP) – Islamist militants staged twin suicide car bombings on an army base and a French-run uranium mine in Niger on Thursday, killing at least 20 people in retaliation for the country’s military involvement in neighbouring Mali. Niger’s Defence Minister Mahamadou Karidjo said the last Islamist was neutralised at the army base and denied early reports that a suicide attacker had held young army recruits hostage. The attacks come just four months after Al-Qaeda linked militants seized a desert gas plant in neighbouring Algeria in a siege that left 38 hostages dead, also in retaliation against the intervention in Mali. – French Troops Protecting Niger Uranium Mine: Fight For Security In Africa Or …? As we speculated from the very beginning, and as was reaffirmed in “Is Nigeria, And Its Light Sweet Crude, About To Be Drawn Into The Mali “Liberation” Campaign?”, the “French” (with complete and fully-comped US support) Mali campaign is slowly but surely migrating to its intended target: Nigeria, and rather its holdings of light sweet crude. And while the US presence in this latest resource land grab, this time in Africa, was so far rather stealthy, it appears the time for foreplay is over and moments ago Obama told congress has has dispatched 40 more American troops to Niger this week, bringing the total U.S. military presence in the west African country to 100. Let’s hear it for the full retroactive transparency demanded by the War Powers Resolution. The Hill reports: “The troops have been deployed to support the intervention in neighboring Mali, where French troops have been helping local forces rout Islamist militants from the country’s north since last month. The Obama administration is also planning to build a base in Niger for unarmed Predator drones to conduct surveillance on militants in the region, The New York Times reported last month. On Wednesday, “the last elements of a deployment of approximately 40 additional U.S. military personnel entered Niger with the consent of the Government of Niger,” Obama wrote to the House and Senate leaders.” Next: extensive weapons of mass destruction are discovered in Abuja while Al Qaeda terrorists are seen making threatening gestuers and using harsh language at Nigerian oil rigs which is the international acknowledged symbol that the US has to do its sworn globocop duty and liberate all that oppressed Nigerian crude. More importantly, China is surely delighted over what as everyone can now understand, is an imminent confrontation over who owns what in Africa. French Troops Protecting Niger Uranium Mine: Fight For Security In Africa Or …? French troops have been called to protect one of Niger’s biggest uranium mines as security fears spike. Analyst John Laughland tells RT, that France taking the military lead in Mali and coming to Niger might be a sign of a continent-size interest. Niger’s President Issoufou asked his counterpart Hollande for military help after the recent hostage crisis at an Algerian gas plant and over the growing threat of militant attacks since France launched its Operation Serval in neighboring Mali. Read moreFrench Troops Protecting Niger Uranium Mine: Fight For Security In Africa Or …? 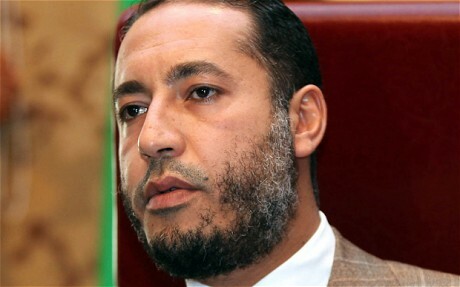 Saadi Gaddafi was smuggled into Niger by a team of ex-special forces soldiers from around the world, according to a former Australian soldier who claims to be the personal bodyguard of the son of the former Libyan dictator. Gary Peters, who is Australian but lives in Ontario, Canada, said his team of New Zealand, Australian, Russian and Iraqi ex-special forces soldiers escorted Saadi to Niger after his flight from Tripoli as it fell to rebel forces in August. He said he himself was injured as he tried to cross the border back to Libya, but was able to make it back to Canada even though he was bleeding. Saadi, who is facing demands for his extradition from Niger, was hoping to move to Canada or Mexico where he had investments, Mr Peters said. “He loves Canada, that’s why he keeps coming back here, every year,” Mr Peters said of Saadi in an interview with the country’s National Post newspaper. Hundreds of thousands of children across central Africa are at risk of death from starvation and disease after flash flooding worsened an already chronic humanitarian crisis caused by drought. Aid agencies warned yesterday that 10 million people are already facing severe food shortages, particularly in the landlocked countries of Chad and Niger, after a drought led to the failure of last year’s crops. 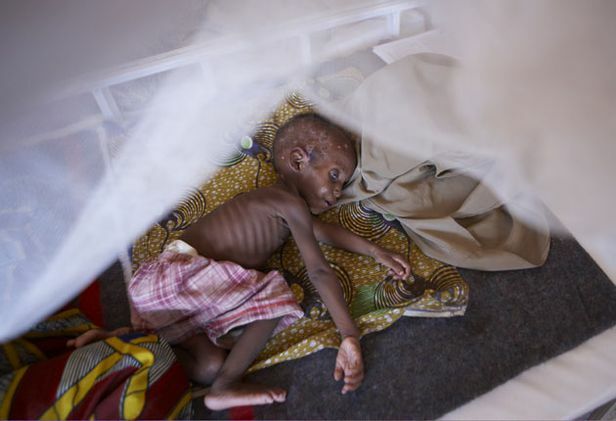 As many as 400,000 children are at risk of dying from starvation in Niger alone, according to Save the Children. Now unusually heavy rains have washed away this year’s crops and killed cattle in a region dependent on subsistence agriculture. Organisations including Oxfam and Save the Children say that the slow international response to the emergency means that only 40 per cent of those affected are receiving food aid. As many as four out of five children require treatment for malnutrition in clinics. Such is the shortage of international aid that the United Nations World Food Programme has had to scale back its £57m operation to feed eight million people in Niger and instead concentrate its efforts on the most vulnerable – children under two – according to Oxfam. Save the Children says the increased malnutrition rate could swiftly be followed by an increase in the number of children dying from disease because of floods in Niger caused by heavy rain over the past few weeks. “Stagnant pools of water have been contaminated by animal carcasses and are a breeding ground for malaria-carrying mosquitoes. This has increased the threat of malaria, respiratory disease and diarrhoea – the biggest killers of young children,” the organisation said. 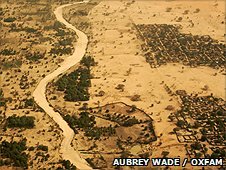 Aid organisations are warning that millions of people are facing starvation from drought and crop failure in the West African country of Niger, and some people are turning to desperate measures to survive. If you look up “bo” on the internet, nothing that makes sense comes up. But we were looking at a bo, or rather looking for it. We were walking along the bank of the Niger river, searching for the tracks of a hippopotamus that was ravaging the corn on Karim’s farm. All of a sudden, a lizard about the size of a small crocodile hurtled out of the undergrowth and raced up a nearby baobab tree. “It’s a bo,” everybody cried, racing to the foot of the enormous tree. Now I had never seen a bo before, so I was interested out of pure curiosity. The handful of villagers with us had other ideas, though. “The bo is delicious,” explained Karim. “It has the taste and texture of fish, and the inside of it is all white. Moustafa, Karim’s head man, was talking excitedly into his mobile phone. “He’s calling the kids from the village,” explained our host. It was hardly surprising, I thought, that the bo was scarce. It is rotten luck to be a delicious animal in a land where people are hungry. World leaders are to meet next week for urgent talks aimed at preventing tens of millions of the world’s poor dying of hunger as a result of soaring food prices. The summit in Rome is expected to pledge immediate aid to poor countries threatened by malnutrition as well as charting longer-term strategies for improving food production. Hosted by the UN’s Food and Agriculture Organisation, it will hear calls for the establishment of a global food fund, as well as for new international guidelines on the cultivation of biofuels, which some have blamed for diverting land, crops and other resources away from food production. The urgency of the meeting follows historic spikes in the price of some staple foods. The price of rice has doubled since January this year, while the cost of dairy products, soya beans, wheat and sugar have also seen large increases. The world’s urban poor have been hit hardest, sending a wave of unrest and instability around the world. 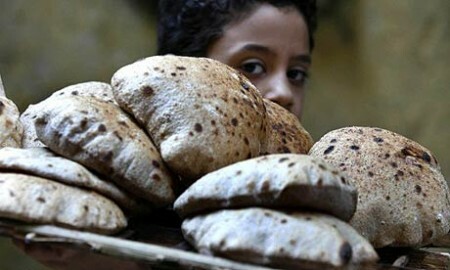 Thirty-seven countries have been hit by food riots so far this year, including Cameroon, Niger, Egypt and Haiti. The Rome summit is the first of a series of high-level meetings aimed at tackling what many leaders now see as a much bigger threat to international stability than terrorism. A fortnight after the UN meeting, the EU council will focus much of its time on the food crisis. A ministerial meeting of the World Trade Organisation in late June will make a last-ditch attempt in Geneva at agreeing the lowering of international trade barriers, with the aim of cutting food prices and making it easier for farmers in poor countries to export their produce. Food and climate change will also be the twin top themes of the G8 summit in Japan in early July, and then in September a UN summit will attempt to put the world back on course towards meeting the millennium development goals, agreed eight years ago, one of which was the halving of the number of the world’s hungry.